Exhilarating menthol freshness with just a hint of tobacco. Specially blended to simulate the flavor of the popular name brand mentholated tobacco cigarette. 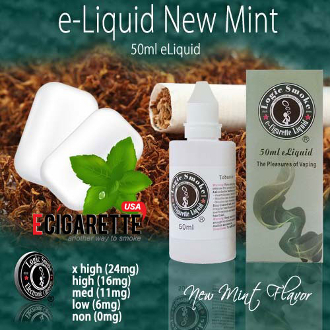 The Logic Smoke New Mint flavor e liquid is a refreshing burst of mentholated coolness that satisfies every time. Use alone or mix with another of the vast array of Logic Smoke flavors. With the perfect blend of an 80/20 PG/VG mix (propylene glycol and vegetable glycerin (organic, food grade preservative compounds), you'll get the best flavor concentration along with the perfect amount of vapor to satisfy your vaping needs.